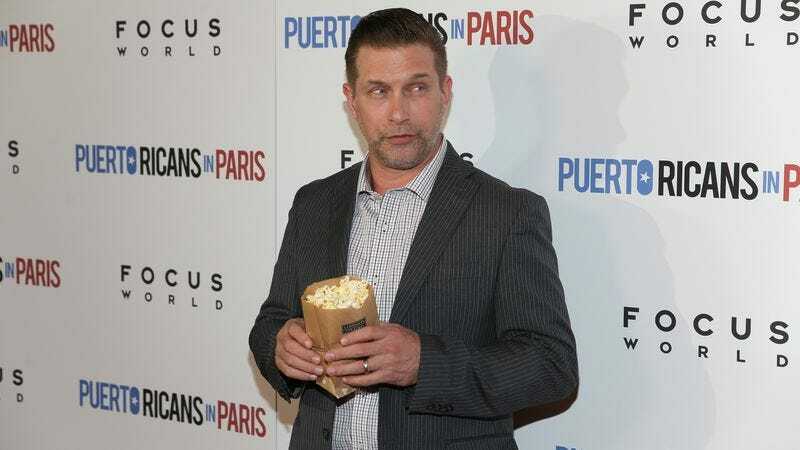 Stephen Baldwin, God’s own gift to Billy Baldwin, has repeatedly found himself at odds with his brothers—as he has the world—ever since becoming an evangelical Christian. In the past, Baldwin’s deeply religious, ultra-right-wing beliefs have led to things like launching a fundraiser to “facilitate the gifts and calling of Stephen Baldwin,” founding a ministry that combined preaching with extreme sports, and directing the Christian-themed skateboarding movie Livin’ It. But they’ve also influenced some things that aren’t so full of laughs. For example, Stephen’s response to his brother’s Donald Trump impression. As the former Celebrity Apprentice contestant who’s currently dominating the “Support Donald Trump” challenge, the Littlest Baldwin was at Wednesday’s final presidential debate. It was there CBS News took the opportunity to ask him about Alec Baldwin’s Saturday Night Live performance as Trump, which Trump himself has denounced. And while Stephen allowed that his brother’s “got the voice down very well,” like Trump, it’s a bit of comedy that Stephen enjoys as much as anyone did The Flintstones In Viva Rock Vegas. I think it’s getting a little too nasty right now… I don’t want to be a party pooper here, but I don’t think it’s very funny. I don’t think there’s anything funny about this election. I think it’s very serious, very important. Young people, millennials, undecided voters, everybody’s got twenty days now to really start to do their homework and figure out who they think is going to lead this country in the direction it needs to be, back on its feet economically We have never had this much stagnation in our economy in … God only knows how long, I don’t know exactly the numbers. But, it’s just… There’s no fooling around now. Baldwin’s economic policy of leaving the numbers up to God is obviously an abiding faith, one he’s previously credited for his own crippling bankruptcy. So it’s easy to see why he might be particularly touchy that the works of man—or Baldwin—would dare interfere. And of course, Stephen Baldwin also has a lot in common with Donald Trump: He inherited a successful name and family business. He’s bad with mortgages and hides his failures behind Chapter 11. He was in some surprisingly big movies for a while there in the ’90s, and has since been all over reality television. He even once shared a home with Ivana Trump. Also, he became a deeply religious person once it suited him, he doesn’t like to pay his taxes, and he’s in no way fit to hold public office.